Home Auto Home Insurance Flood Insurance—Do You Need It? Although Spring signifies that Summer and warm weather are approaching—this season also means melting snow, and lots of rain showers, and flooding. Flooding can occur in moderate-to-low risk areas as well as in high-risk areas. Residents living outside of high-risk areas file over 20% of National Flood Insurance Program (NFIP) claims and receive one-third of disaster assistance. The reality is, everyone lives in a potential flood zone. Floods are the most common natural disaster in the Unites States and can result in losses of more than a billion dollars per year. 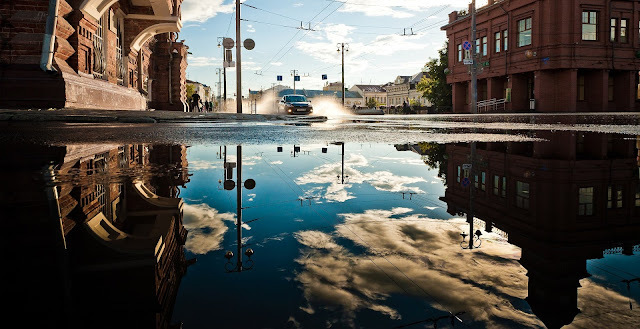 Rapid accumulation of rainfall, snowmelt, poor drainage systems, and broken water mains can all result in floods. The worst part is—the majority of people are unaware that flood related damage is not covered under your homeowners policy. Contact your agent—In New York State, flood insurance can only be purchased through an agent. Know what’s covered—Just like other types of insurance, you need to know what is and isn’t covered. Deductibles—Higher deductibles lower your premium and your claim payment. Requirements—Businesses and homes with mortgages in high-risk areas are required to have flood insurance. 30 day wait—Upon purchasing your policy, it typically takes 30 days to take effect but, there are exceptions. In high-risk areas, homes and businesses with mortgages from federally regulated lenders are required to have coverage. For those living in moderate-to-low risk areas in New York State, it’s really up to your discretion, however it’s strongly recommended. In the end, floods are unpredictable and because of the 30 day waiting period upon purchasing flood insurance, being proactive is crucial. Here at NYCM Insurance, we partner with Wright Flood, the largest flood insurance provider in the nation. Wright Flood will write new and renewal flood policies, respond to customer inquiries and manage flood claims. Wright Flood is a member of The Wright Insurance Group headquartered in Uniondale, New York. To get a flood quote find a NYCM agent near you or Call Flood Marketing at 866-373-5663 to find a Wright Flood agent in your local area. Still have questions? Read our FAQ’s to learn more about whether Flood Insurance is right for you.